← A new Black Friday… on a Wednesday! Over the summer, there are specific food dishes that especially hit the spot. All the fresh fruit and berries you can imagine, yummy and cooling beverages, and any refreshing dishes that beat the heat. One of those in our house is Caprese Salad. There is something about mozzarella, basil, and tomatoes that just screams summer. 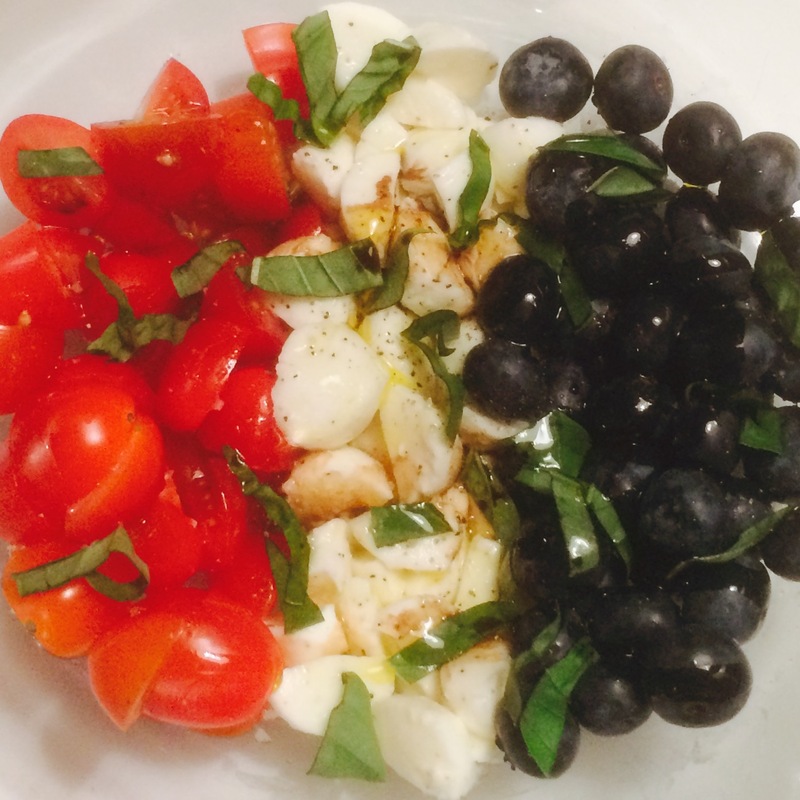 So when I found this recipe from Love and Olive Oil for a Caprese Salad that includes blueberries, I thought – YUM! We made it on the Fourth of July. We were not intending to be patriotic, that was all luck. I’ve changed it to our liking, but the gist is similar. I spooned a bit on crackers and Chris ate it straight from a bowl with a spoon. Combine tomatoes, mozzarella, and blueberries in a bowl. Toss with basil, olive oil, and balsamic vinegar. Season to taste with salt and pepper. Yum! Never would have thought of adding blueberries to my favorite…caprese. After a recent trip that included some fine dining, I’ve realized what a difference the brand and origin of both olive oil and vinegar can make. Your recipe sounds like a good place to start using the best of both! Mmm…we should do the same – dabble with different olive oil’s and vinegars!